Weekday Special! A 4-Star Potable Fan in Doggie Chance! 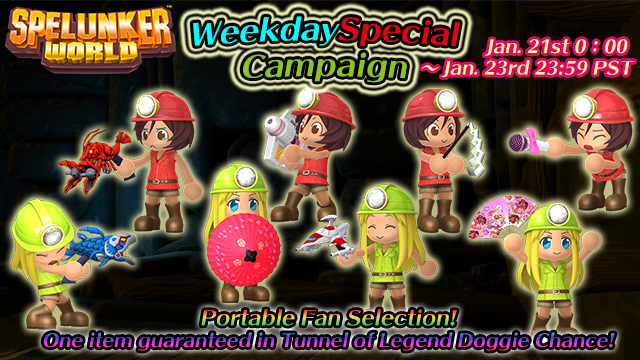 This week's Weekday Special campaign! A 4-Star Portable Fan item is guaranteed in Doggie Chance!! A 4-Star item from Portable Fan Selection is guaranteed in Doggie Chance at Doggie Digging Tunnel of Legend!